“A right bloody mess”… How that came to be is a funny story in it’s self. 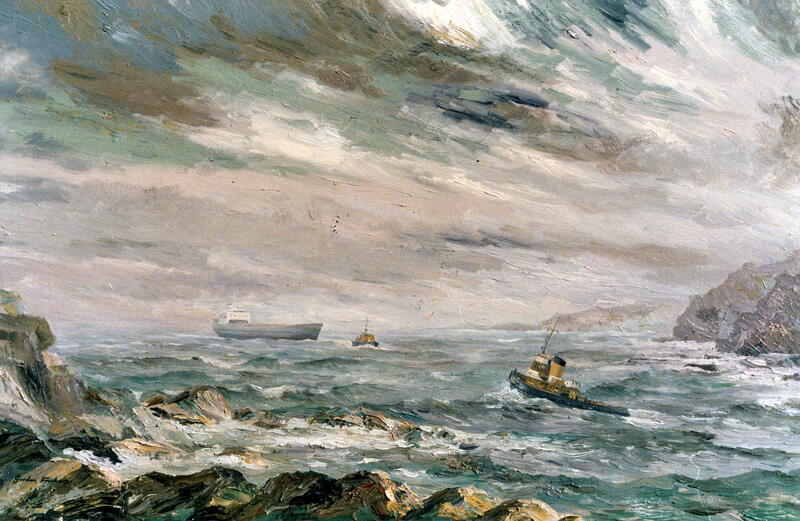 I produced and sold this back in the 1980’s, “Gale off Fowey, shipping movements”. 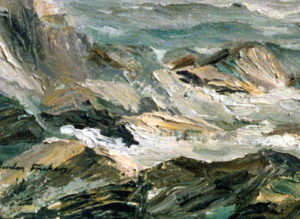 To acquire or commission, simply, securely; to place a deposit or payment on our Purchase page to make this or a similar painting, yours. How that came to be is a funny story and the stuff of legends.